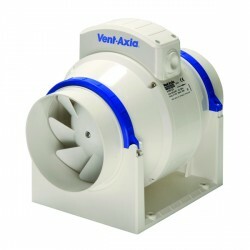 Vent-Axia ACM100 Commercial In-Line 100 mm Mixed Flow Fan 17104010C at UK Electrical Supplies. The Vent-Axia ACM in-line mixed flow fan range is designed to be used with either rigid or flexible ducting and to be quieter than other similar products on the market. 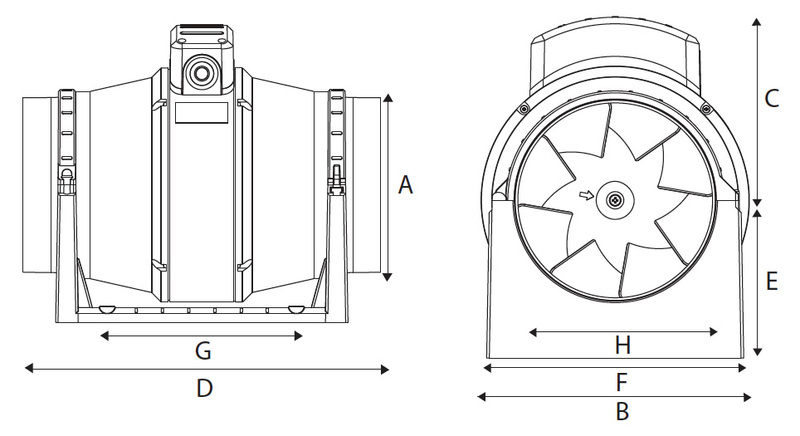 These in-line fans offer two and a half times the pressure of conventional axial fans and are more compact, making them the ideal solution for most ducted applications. The design features impeller blades with guide vanes to provide the optimum pressure characteristics and quieter, more efficient running. It can operate in both horizontal and vertical positions and also has the option of being mounted to achieve peak performance. Click here to view this product's page from Vent-Axia's own catalogue, containing a full feature list and specifications of the product. Click here to view this product's manual.